Even though your baby is still a little too young to enjoy their first Pumpkin Spice Latte this fall, they will certainly enjoy all the wonderful fruits & veggies this season has to offer! If I had to choose, I think fall would be my favorite season for starting babies on solid foods. In early fall you may still see some remnants of deliciously sweet and juicy summer fruits. But you also get the wonderful and naturally soft fall/winter vegetables. It’s the best of both worlds! There are so many reasons to choose seasonal foods for your little one. Fruits and vegetables that are in season are going to be the freshest at the market. Have you ever tried a fresh tomato from your supermarket in January? Not good. Even though most fruits and veggies are available at the supermarket year-round, out of season they are usually shipped in from thousands of miles away. To prevent spoilage, they are usually picked before they are fully riped, which means the taste is usually dull or bitter. Seasonal foods are also going to be more affordable. Because they are picked in season, they tend to travel less distance, keeping costs low, and there is usually an abundance of produce, which means there are a lot of sales! A tomato in January costs a lot more than a tomato in July. The best way to find seasonal fruits and veggies is to visit your local farmer’s market or farm stand. Here is a directory published by USDA where you can find a market near you. You will get the best deals, the freshest product, and you can support your local economy. If you don’t have a farmer’s market nearby, keep an eye out at your local supermarket, many stores now feature local produce. If you’re just getting started in making your own baby food, take a look at my article on Cooking Healthy Homemade Baby Food. You’ll find tips for making food that is the appropriate size and texture, using spices and seasoning, and how to offer variety to help your baby become a pint-size foodie. The most important thing before you start your little one on solid foods is to make sure they are ready. Talk to your pediatrician and get the green light. Discuss any concerns you have, like food allergies, swallowing difficulties, and weight gain. Once you are ready to start, think about texture. While most parents offer their baby purees to start, some are now following a Baby Led Weaning approach, which bypasses the typical progression of pureed food to lumpy food to finger foods. You can read more about Baby Led Weaning here. There’s no right or wrong, do what works best for your family. Whatever approach you decide, you should always trust your instincts, consult your pediatrician, and observe your baby. For this article, we’ll focus more on puree foods for new eaters and finger foods for older babies. For the most part, those first few months of eating are going to be filled with very soft and moist foods. Fortunately, there are so many fall foods that fit the bill! Let’s take a look. There are so many wonderful varieties of apples and pears, and you can have so much fun taste testing them with your baby! Pears and apples both contain good fiber to help keep your baby from getting constipated, and are full of vitamins and minerals. Don’t be afraid to add spice: the nice mild flavor pairs well with cinnamon, cloves, even ginger. New Eaters - Prepare homemade apple or pear sauce! Peel, core, and cut into chunks. Add to a pot and barely cover with water. Simmer until apples or pears are very tender, about 15-20 minutes (depending on how big your chunks are). Transfer to a blender, food processor, or use an immersion blender to puree until smooth, adding some water that the fruit was cooked in. Older Babies - For apples, peel core and slice into wedges, you can then steam or bake the wedges until soft. I do not recommend serving babies raw apples because they can be a choking hazard. For pears, simply offer your baby cubes or wedges of peeled ripe pear. Plums are another classic first food for baby. You can serve them plain, or mixed with another fruit (like apples or pears!). Plus, plums can help keep your baby from getting constipated, which can become an issue once they start eating more solid foods. Take a look at the different varieties of plums. This summer, I tried tiny little ‘sugar plums’ for the first time, and they were fantastic! New Eaters - Prepare pureed plums in the same way as apple and pear sauce. You won’t need to cook the plums as long, just until they are soft. Older Babies - Choose ripe pears and simply chop into small bites. Plums are great raw or can be cooked with oatmeal or other hot cereal. While whole, raw grapes are definitely a no-no for babies, there are still ways to prepare them for your little one to enjoy! Choose seedless grapes to make it easy to prepare. New Eaters - Prepare a grape puree in the same way as plums described above. Most grapes will need to cook for just a minute or so to get soft. You can peel the grapes, but if you have a strong enough blender, you may not have to. Or, leave the peel on and strain the grape puree before serving to baby. 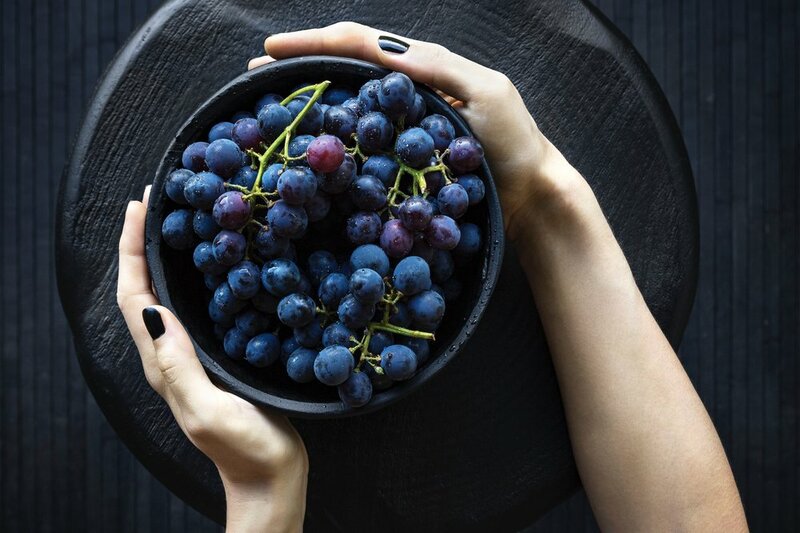 Older Babies - Wash grapes and cut them into small bites. Never serve whole grapes to a young child, as they are a major choking hazard. Grapes also make a great addition to oatmeal or other hot cereal. Not only does kiwi taste delicious, your baby will be mesmerized by the bright colors, fuzzy outside, and beautiful pattern with all those little seeds! To choose ripe kiwis, find fruit that smells fragrant and gives a little when you press on it (like a plum or peach). New Eaters - Simply cut the kiwi in half, use a spoon to remove the flesh, and puree in your blender or food processor. You will probably not need to add any water. If your kiwi is a little too tart, try adding some banana or peach to the mix. Older Babies - Remove the flesh from the skin, and cut into small bites. Depending on where you live, root veggies may come to your local market in early or late fall. Carrots, parsnips, turnips, rutabaga and beets are all wonderful first foods for your baby. If you are boiling these veggies, be sure to discard the water prior to pureeing them. All foods that are grown in the ground (like these root veggies) contain nitrates, and when boiling these veggies, the nitrates are present in the water you cook in. While nitrate poisoning from homemade baby food is not common, it’s still a good practice to use fresh water when making purees with these root veggies. New Eaters - Wash, peel and boil or steam your root veggies in water until very soft. Drain off the water. Transfer to a blender, food processor, or use an immersion blender to puree until smooth, adding some fresh water, breastmilk, or formula as needed. Older Babies - Simply peel your veggies and cut into wedges (think steak fries). Toss with a little olive oil, and your choice of spices (my baby loves carrots with chili powder, cumin, and garlic!). Roast in a 425 degree oven for about 20-25 minutes, flipping once, until the veggies are nice and soft and have some tasty browning action happening. Your baby will love to smash and chew on these roasted root veggies! Don’t let anyone tell you that babies don’t like broccoli! Just like kiwi, broccoli and cauliflower stimulate all of your baby’s senses. Babies love inspecting the tiny little florets, feeling the difference between the stem and the top, and banging broccoli spears around like drum sticks. And sometimes… they even eat it. New Eaters - Remove any leaves from broccoli and cauliflower, and peel stems. Boil or steam until very soft. Drain off the water. Transfer to a blender, food processor, or use an immersion blender to puree until smooth, adding some fresh water, breastmilk, or formula as needed. 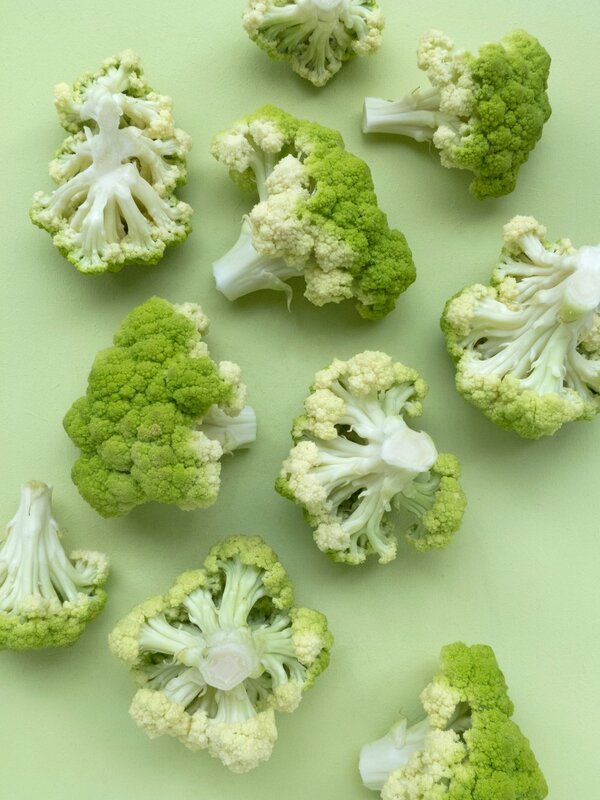 Older Babies - Cut broccoli and cauliflower into small florets. I like to leave a good portion of stem on to serve as a handle. You can steam or roast with some olive oil and any spices you'd like. You may think sweet peppers are an unusual food to serve to babies, but they are so packed full of nutrients (folate, Vitamin A, Vitamin C, and tons of antioxidants!) you should really give it a try! 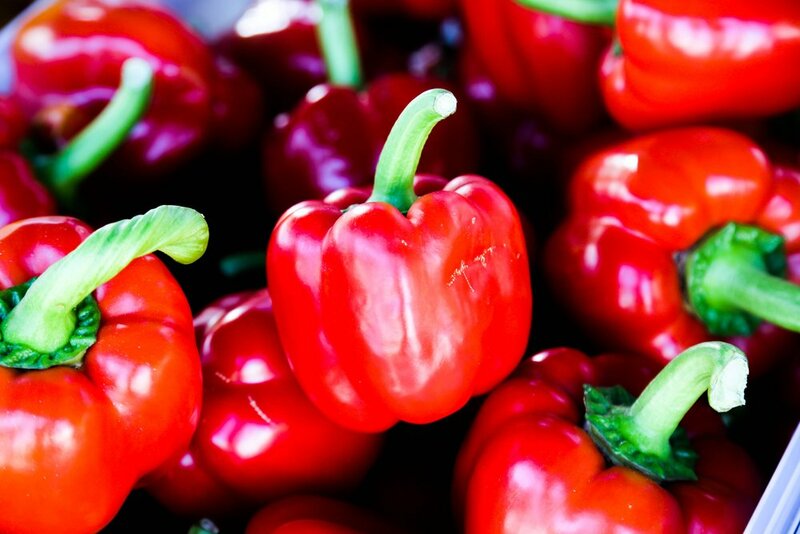 New Eaters - Take a look at this beautiful recipe for red pepper puree from Baby Foodie. In this recipe, peppers are mixed with potato, which makes a thicker puree. This recipe will work with any color pepper! Older Babies - Try roasting strips of peppers, just like you roasted root veggies. Peppers won’t take as long to cook, only 20-25 minutes total. There are so many varieties of winter squash to try with your baby, everything from butternut squash, delicatta squash, acorn squash, pumpkin, and my personal favorite, kabocha squash! They are affordable, last a long time, and when cooked, are a wonderful texture and sweet taste that babies are obsessed with. New Eaters - Peel, remove seeds, and cut into chunks. Boil or steam until very soft. Transfer to a blender, food processor, or use an immersion blender to puree until smooth, adding some water that the squash was cooked in, breastmilk, or formula as needed. Older Babies - You can boil or steam as above, but instead of pureeing, simply cut into cubes or wedges for your little one to gum. Or, forget the peeling, just remove the seeds, cut into chunks or strips, and roast in the oven with some olive oil and spices. What’s your favorite fall food? Let me know in the comments!